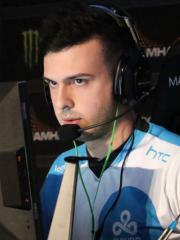 Tarik "tarik" Celik is an American CS:GO player. Currently, tarik is ranked #154 in highest overall earnings, and #14 in highest earnings for players from United States. Before his 18th birthday, tarik was awarded $70.00 in cash prizes from a single tournament. 0.01% of his total prize money was earned before February 19, 2014. Out of the 105 tournaments where tarik received a cash prize, the largest was $100,000.00 from ELEAGUE Major: Boston 2018 on January 28, 2018. His 1st place finish makes up 18.40% of his total prize money won. On December 3, 2016, tarik reached $100,000 in total prize money won with a $80,000.00 cash prize from his 1st place finish at ELEAGUE Season 2. Prize money from 52 tournaments got him to that point. tarik has won $12,850.00 in prize money from 6 tournaments within the last 90 days, $6,000.00 (or 46.69%) of which came in the last month.